If U.S. companies needed more evidence that scrutiny around wages is intensifying, they heard it this week during Federal Reserve Chairman Jerome Powell’s testimony to Congress. Powell dodged the question, instead reminding Brown that U.S. unemployment is at a 50-year low and that the Fed lacks the tools to “affect every social problem.” It’s true that the Fed’s mandate is to maximize employment, not wages, and that the Fed probably can’t raise wages, even if it wanted to. But as long as workers continue to receive less than a living wage, no one should be surprised that concerned lawmakers are looking for every opportunity to intervene, however implausible or ill-advised. If companies won’t raise their employees’ pay, the government will try to do it for them. The Fed’s mandate of maximum employment makes it a tempting target. After all, the point of employment is to make a living, so it’s natural to ask how well the Fed is achieving its mandate when millions of workers earn less than a living wage. As U.S. stock investors contemplate the biggest long-term risks facing the market, such as a global economic slowdown, trade tensions or rich equity prices, they shouldn’t overlook a critical one: the pay disparity between corporate bosses and workers. In 2015, the Securities and Exchange Commission adopted a rule that required public companies to disclose the median compensation of employees and that of the CEO, beginning with fiscal year 2017. The numbers have confirmed what many suspected: Chief executives are paid tremendously more than workers. The numbers also revealed that hundreds of the biggest U.S. public companies pay their workers less than a living wage. That’s not sustainable. As the grim pay disclosures pile up year after year, the backlash against the corporate elite will intensify. If corporate boards can’t find a better balance in their pay structure, outside forces will, and at a potentially far greater cost to companies and their shareholders. My Bloomberg colleagues Alicia Ritcey and Jenn Zhao compiled the CEO-to-worker compensation ratios for companies in the Russell 1000 Index, which represents roughly the 1,000 largest U.S. public companies by market value, and laid them out in a superb interactive chart. 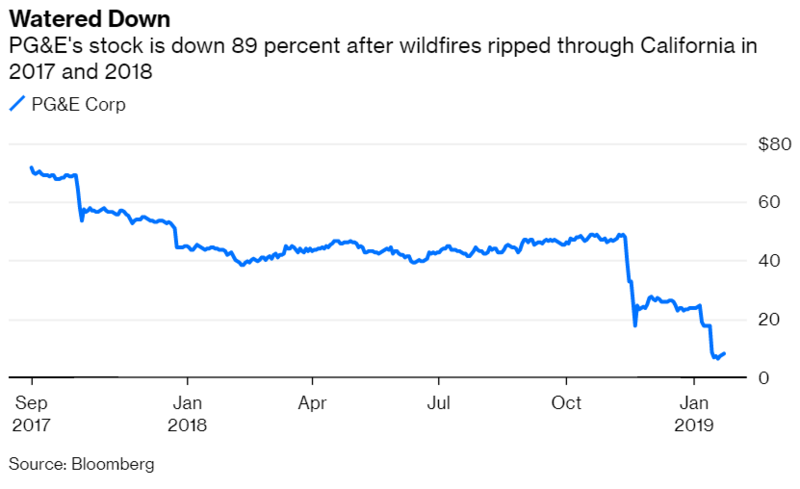 If you’re baffled by environmental, social and governance investing, PG&E Corp.’s recent troubles are likely to raise more questions than answers. The California power company has been devastated by wildfires that ripped through the state in 2017 and 2018. PG&E’s liabilities are estimated at $30 billion and a bankruptcy filing is imminent. Its stock has tumbled 89 percent from its high on Sept. 11, 2017, through Wednesday. 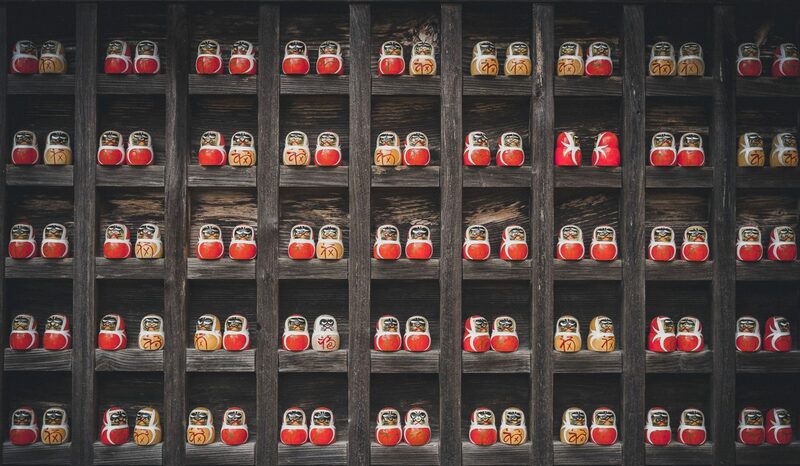 Not to be confused with socially responsible investing, which avoids businesses that some investors find ethically or morally questionable, such as tobacco, gambling or weapons, ESG attempts to identify companies that are exposed to higher-than-average environmental, social or governance risks. 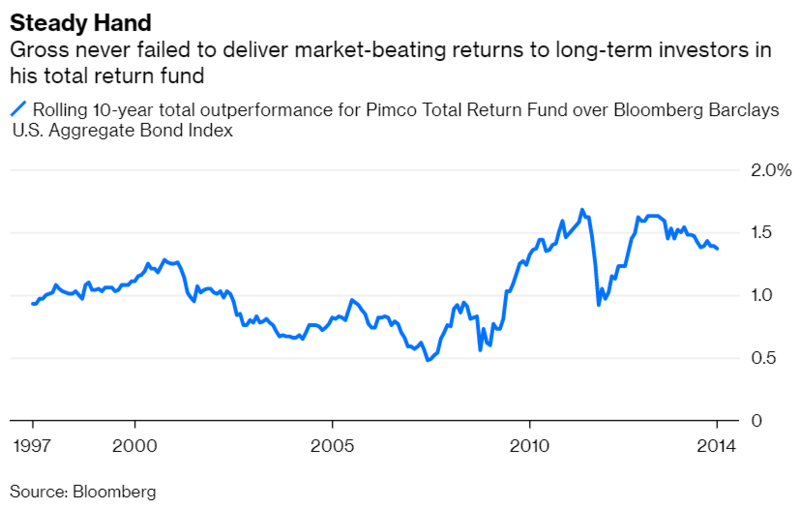 The idea isn’t necessarily to beat the market but to engineer a smoother ride by limiting investment in high-risk companies. It’s a worthwhile endeavor, but it’s easier said than done. 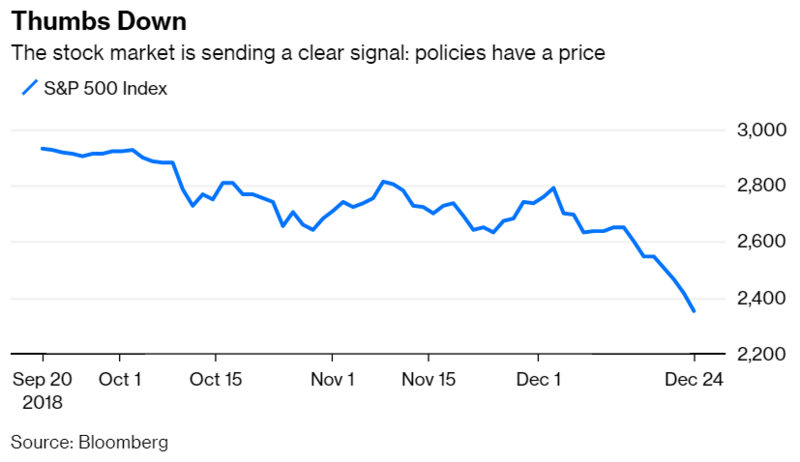 The strategy didn’t flash many warnings around PG&E, and it’s not the first time a company has turned out to have crucial vulnerabilities that failed to show up on ESG’s radar. 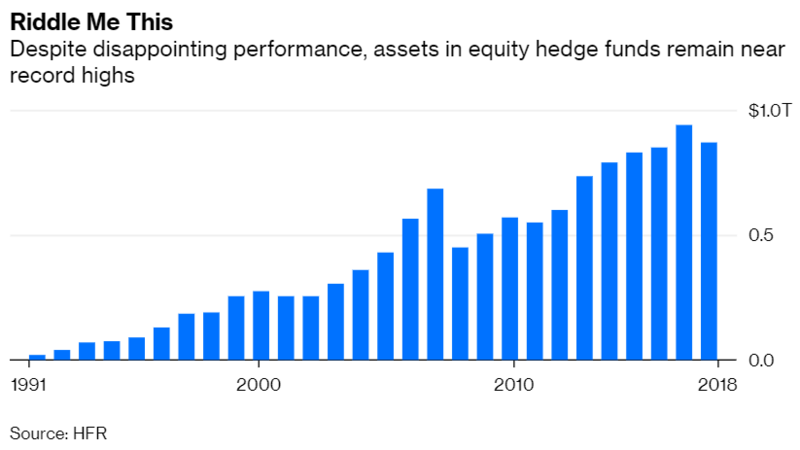 John Bogle’s biggest contribution is yet to come. The Vanguard Group founder and father of the index fund, better known as Jack, died on Wednesday at the age of 89. A lot will be said about his influence on the financial industry in the coming days, and deservedly so. He transformed money management, making investing cheaper, simpler and more accessible than ever before, lifting the financial well-being of millions of people in the process. But the most remarkable thing about Bogle is that he created billions — and perhaps trillions — of dollars in value for others and kept relatively little of it for himself. That stands in sharp contrast to the unabashed accumulation of riches among corporations, even as wealth inequality rises to alarming levels. Bogle’s life is a reminder that business leaders have the power, indeed the responsibility, to shrink the wealth divide between their companies and the workers and consumers who sustain them. If Bogle were anyone else, he’d be a billionaire. 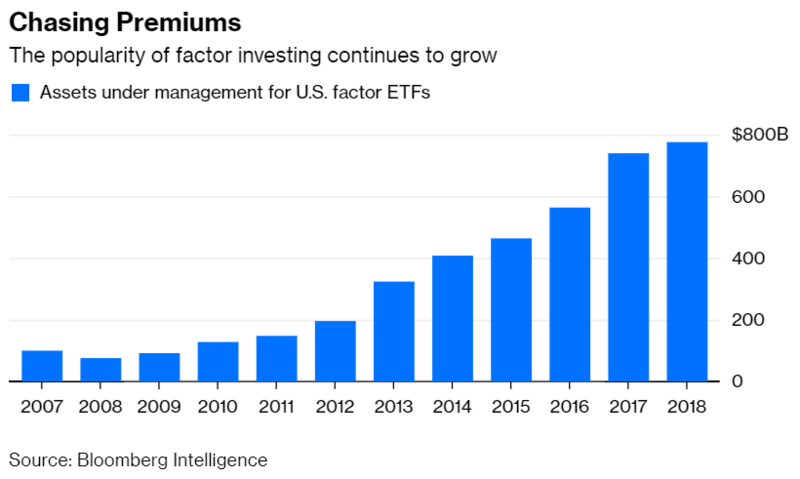 His brand of investing — buy low-cost, broad-based index funds and hold them forever — seems obvious now, but it wasn’t inevitable. 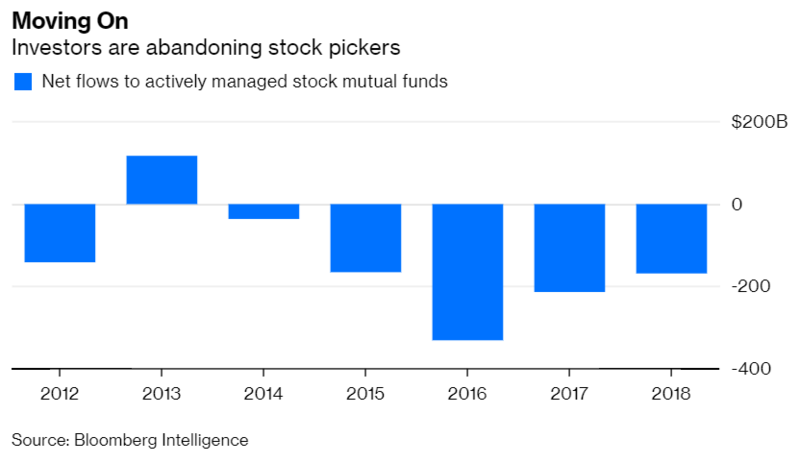 When Bogle launched the first index fund available to individual investors in 1976, the industry ridiculed it, calling it “Bogle’s folly.” Bogle was undeterred, and today Vanguard is among the largest money managers in the world, with $5 trillion in assets, roughly two-thirds of which is invested in index funds. The stock market is calling the White House to account, and it won’t be easily distracted. The S&P 500 Index has tumbled 19.8 percent from its recent high on Sept. 20 through Monday, just shy of a 20 percent decline that customarily defines a bear market. It’s no doubt a bitter pill for President Donald Trump. He fancies himself a champion of American business and gauges his success by the level of the stock market. With stock prices plummeting, the president can’t feel great about how things are going. Nor should he. Economists have warned for months that Trump’s trade policies could squeeze American companies’ bottom lines and that recordbudget deficits could hamper the economy, overshadowing the boost from his corporate tax cuts. With every decline, the market is warning the administration that those risks are growing. Rather than rethink its policies, the White House has turned to its well-worn playbook of distraction and blame. It won’t work. Stocks don’t care much for politics, but they care a lot about stability, the economy and how companies perform. If Trump wants to pacify the market, he will have to address the issues it actually cares about.